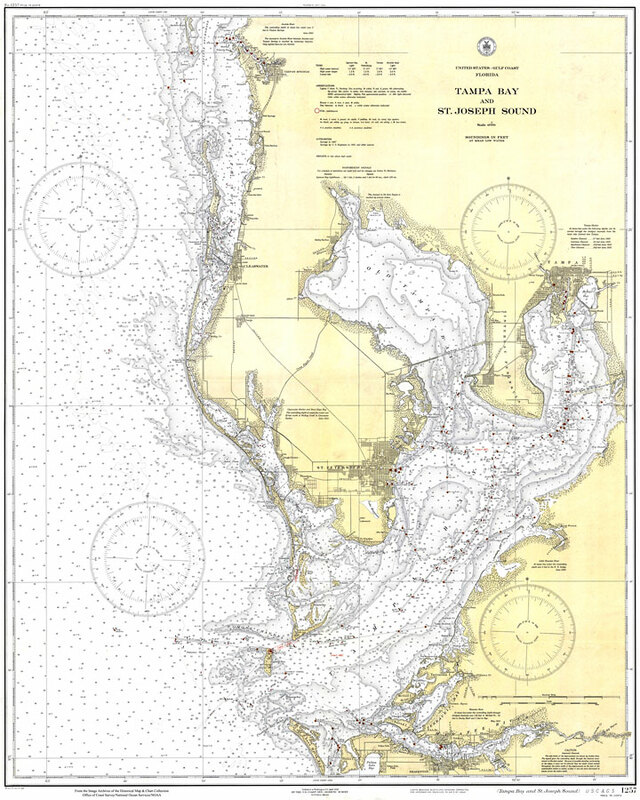 Description: A National Oceanic and Atmospheric Administration map of the Tampa Bay area from Tarpon Springs to the Manatee River, 1932. This Gulf Coast Survey chart shows all soundings expressed in feet. Navigational aids such as lights, beacons, buoys, and measures of magnetic declination variances are shown as well as obstructions such as submerged wrecks. The map scale is 1:80,000. Key to NOAA maps.